Regular fonts characters are usually outline fonts. These font files describe the outline of characters, and the outline is filled with a color. The fill is the only actual visible part. In a single-line font the line itself is the visible part of the font. It makes for much simpler font files. Compare it to writing with a pen: It’s much quicker and simpler to directly write characters as lines than to draw them as outlined shapes and fill in the shapes. Single-line fonts are also knowns as engraving fonts, stroke fonts, technical lettering fonts, pen plotter fonts or stick fonts. Searching for information on single-line fonts I found an interesting summary of single-line fonts by Lindsay Robert Wilson, which mentions the font used in Atari’s 1979 Asteroids game. 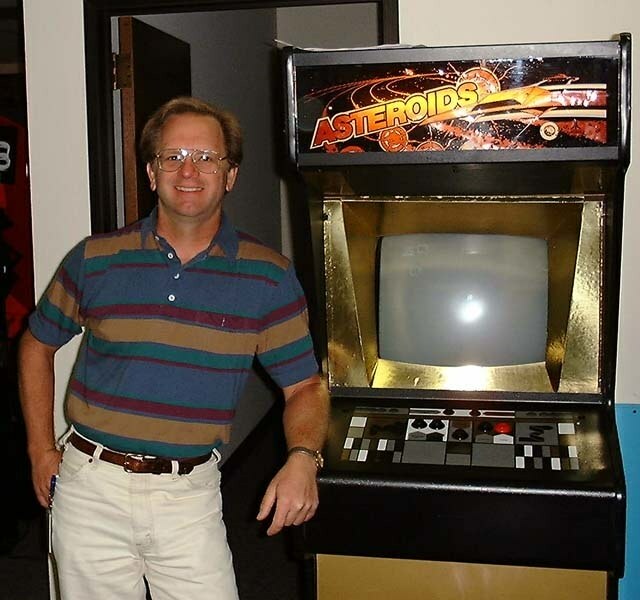 Atari programmer Ed Logg designed the original Asteroids font. More recently Trammell Hudson made a slightly adjusted version of the font for his own projects, of which he put the source file on GitHub. From there I could take some functions from ThreeJS’s SVGLoader to parse the SVG strings into Path objects, en then create Line objects for each character and align them horizontally as a line of text in a Group. Very cheap and simple text. 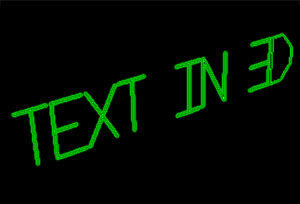 The only thing I don’t like about the LineBasicMaterial text is that lines can only be 1 pixel wide. I would have liked to be able to adjust the line thickness. I will try and see if I can change that at some point, but for now this code does what I need.